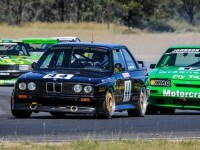 Post Tagged with: "Morgan Park"
A record-breaking entry will head to Morgan Park for Historic Queensland over the weekend of July 14th to 15th and Heritage Touring Cars’ Legends of Bathurst are pleased to be a big part of it. 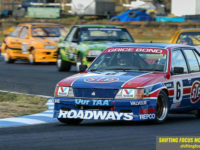 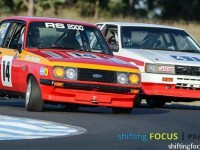 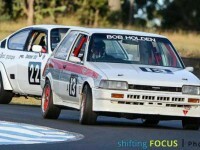 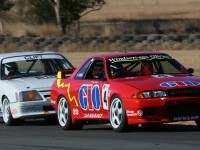 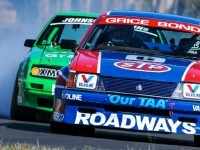 29 of the series’ historic Australian touring cars are signed up for the event and set to put on a great weekend’s racing. 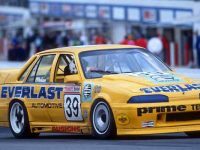 Built by the successful and hard-working privateer family the Callaghans in 1988, using a new motorsport VL Commodore body shell and the best bits available, chassis #AVL 044 22 11M is a magnificent example of the model. 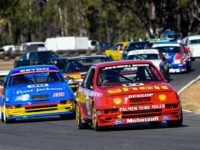 Next weekend will see a full field of genuine Group C & Group A Touring Cars racing for class & outright honours in Round 2 of the 2016 Heritage Touring Cars Championship, the only Queensland appearance for these cars in 2016. 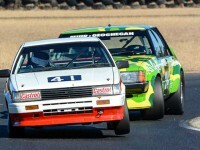 Ian Welsh photographed the event, and has put together a brilliant gallery of his photographs to share here on the website. 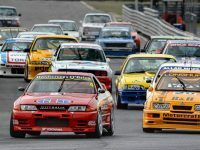 Take a few minutes to enjoy them and catch up with all the Heritage Touring Car racing action from Morgan Park.